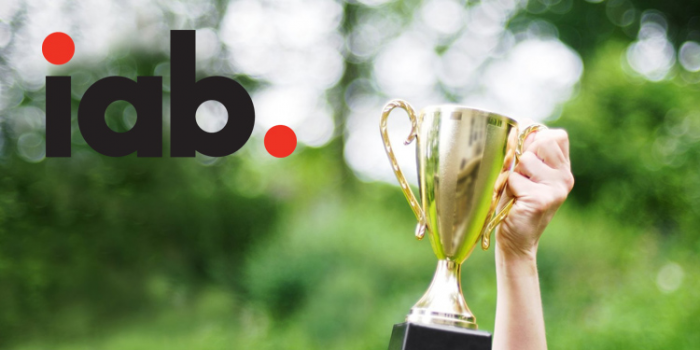 IAB (Interactive Advertising Bureau) and its Data Center of Excellence today announced the winners of the inaugural IAB Data Rockstar Awards, celebrating top industry leaders and practitioners who have demonstrated achievement in data science or technology. The top finalists were selected by the IAB Data Center of Excellence Board of Directors and were evaluated based on demonstrated excellence, creativity or forward-thinking approaches to solving problems in data science, as well as the impact their contributions have made to their company or industry. Chalasani developed a highly efficient, distributed, extreme-scale, single-pass online logistic regression learning system in Scala/Spark, using variants of Stochastic Gradient Descent, capable of handling hundreds of millions of sparse features and billions of training observations. His system incorporates a number of state-of-the-art techniques that do not exist together in any other machine learning system, including adaptive feature-scaling, adaptive gradients, feature-interactions and feature-hashing. Chalasani work is central to MediaMath’s vision for every addressable interaction between a marketer and a consumer to be driven by Machine Learning optimization against all available, relevant data at that moment, to maximize long-term marketer business outcomes. His innovative work on ad-measurement drove the release of MediaMath’s ad-measurement product. Eng consolidated platforms across media platform partners (ad servers, DSPs, paid social, media tools, etc.) to strengthen Merkle’s Agency Services team and expand capabilities to a more addressable/people-based approach. She improved and streamlined operations, reporting, insights and optimizations, along with standardizing data to enable simplified data categorization process. Eng reshaped the definition of the role of an ad agency ad ops team and developed team of media tech experts who can consult, implement and manage all aspects of media operations. Leger provides data-driven solutions for premium publishers and Fortune 100 brands. She took offline data to build a full match network to harvest and monetize the data to over 100 DSPs, trading desks and agencies. Leger created entire digital data taxonomies, built match networks with independent publishing networks, managed costs and developed relationships with all buyers across the data landscape. Therani led and developed Near’s location intelligence platform, products and team by understanding future eco-system requirements as well as fulfilling current needs as data-driven marketing and advertising strategies continue to evolve at a rapid pace. In addition, Therani led the Allspark SAAS product. His key focus has been on developing state-of-art spatio-temporal models by fusing heterogeneous spatial data that can power future advertising and media management strategies for brands and publishers. Wallach's manages online data product and real-time bidding partnerships owner for TotalSource PlusTM Online and MarketView Online. He has expanded Epsilon’s assets from a few hundred data segments to thousands of targetable audiences over several quarters. He’s helped develop internal segment creation and QA tools, codify online data governance policy and has worked to formalize internal and external delivery processes. Wallach has transformed Epsilon’s digital data strategy since taking over the product, yielding growth in partnerships, end-client usage and overall revenues. In addition, he championed digital initiatives and cross-functional product development in partnership with the Epsilon offline data team. “We have only begun to deliver on the promise of big data, and these award-winners are proof that talented and creative minds can lead the way to tapping into its benefits,” said Patrick Dolan, Executive Vice President and COO, IAB. The IAB Data Rockstar Awards winners were announced at the IAB Ad Operations Summit in New York City. The IAB Data Center of Excellence will begin a regular "Data Rockstar" spotlight series to raise awareness and visibility of great work being done by data industry practitioners. Visit the site to submit the names of up to three candidates for consideration. Founded in 1996, the IAB is headquartered in New York City and has a West Coast office in San Francisco. It is comprised of more than 650 media and technology companies that are responsible for selling, delivering and optimizing digital advertising or marketing campaigns. Together, they account for 86 percent of online advertising in the U.S.